Spring has come in Tahoe, finally... Almost all the snow on the ground is gone. During the past winter, we didn't receive very much snow compared to normal winters. We had one last storm in late March. Typically, in Tahoe, the sun comes out right after a storm. 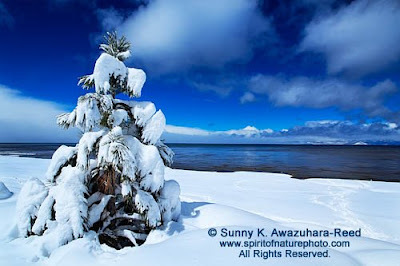 Photographing after a snow storm is very special. 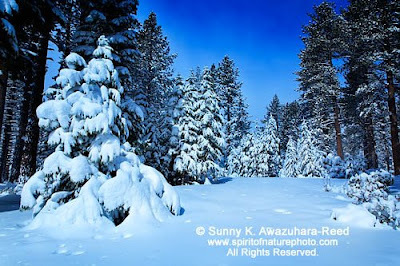 I like the white snow and blue sky contrast! 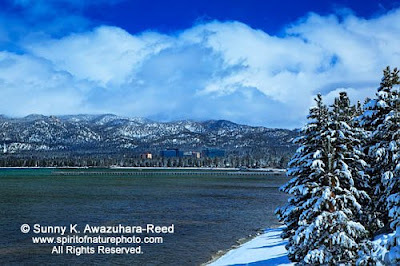 These are the beaches on the South shore of Lake Tahoe. Here is Tahoe's famous peak, Mt. 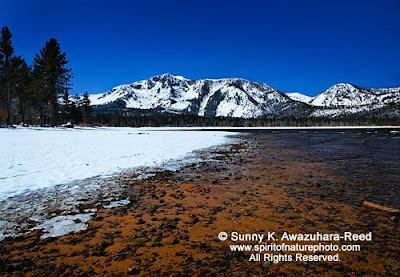 Tallac, photographed from the beach.